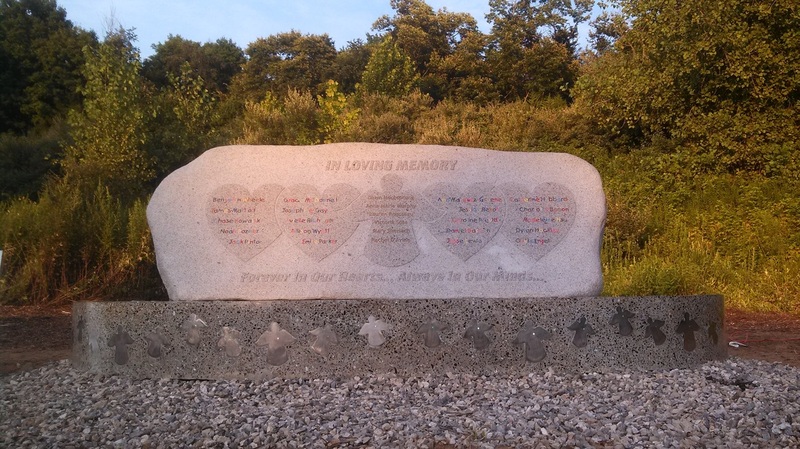 Creator Adam Meyer of Maine Coast Creations, with the assistance from other Downeasters, Crafted the Mussel Shellcrete Base for this Tribute that now rests in Sandy Hook - Newtown, Connecticut. 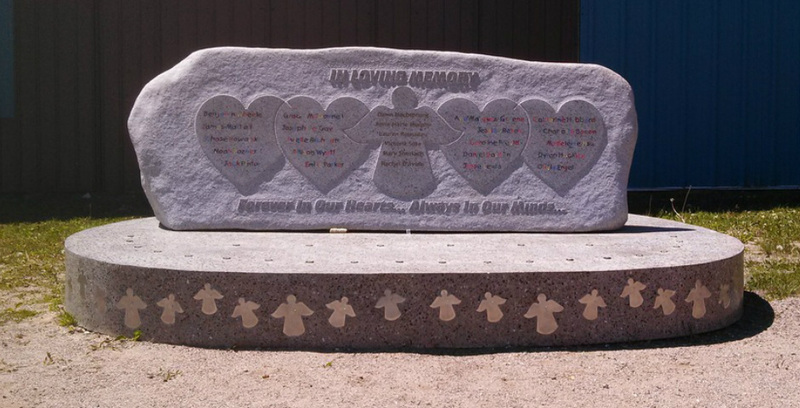 The Base contains over 1000 pounds of crushed Iridescent Blue & Purple Mussel Shells and 3 cubic yards of our Shellcrete. The Piece is an oval measuring 10 ft by 8 feet, about one foot thick and weighs over 6 tons. It embodies 26 Stainless Steels Angels along the facia... Twenty 4.5 inch Angels symbolize the children, and six - 6 inch Angels symbolize the teachers. Each Angel has a fiber optic heart that forever Enlightens and Shines. 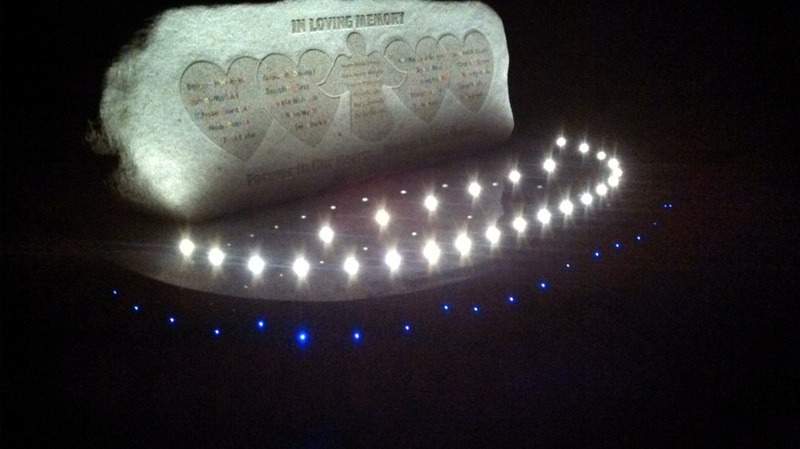 The 26 led lights embedded in the top of the Base illuminate the Granite Engraved Stone that rests atop. The Surface appears to be that of Granite, but is actually a composition of tiny shell, stone, sand and cement fragments that were exposed only after days of Diamond grinding and polishing. May Each and Every Being that comes in contact with Her, feel the presence of Love and Life...and May the Cloud of the Light Fill Her by day...and Let the Fire within Her Shine at night, as intended for all to see.